Chemotherapy treatments often induce severe hair loss causing major distress for cancer patients facing chemotherapy treatments. 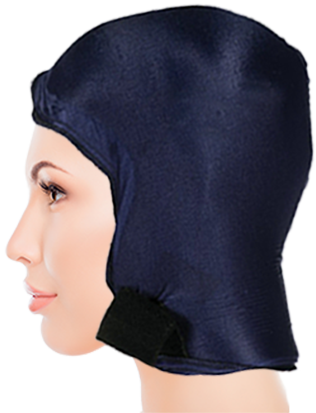 The Chemocap is a non-invasive device clinically proven to prevent hair loss as a result of chemotherapy treatments. Patients using Chemocap report a marked improvement in their self-image and quality of life. 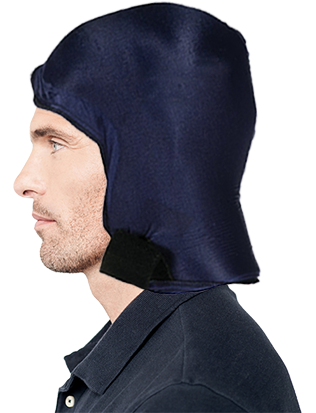 The Chemocap is an innovative device made of durable and reusable hypoallergenic material designed with the patient’s comfort in mind. It remains supple and malleable even when deeply frozen. Oncologists recommend the use of Chemocap as a safe and effective method to prevent severe hair loss caused by chemotherapy treatments. Success rate is both drug and dosage dependent as depicted in the chart below. 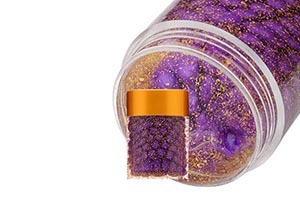 The Chemocap is easy to use and guaranteed to deliver excellent results for a period of 2 years from the date of purchase when used as directed. How Does The ChemoCap Work ? Hair roots and follicles are firmly rooted in the dermis where they are nourished by a constant blood flow. 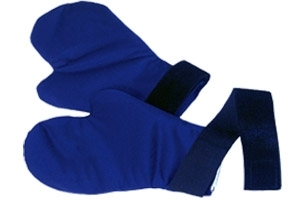 The use of Chemocap at temperatures between -25°C and -30°C induce localized vasoconstriction which in turn slows down the metabolism and the blood flow at the sub-cutaneous level . As a result hair roots and follicles are spared from a drug infused blood irrigation reducing toxicity and preserving the biological integrity of both roots and follicles. 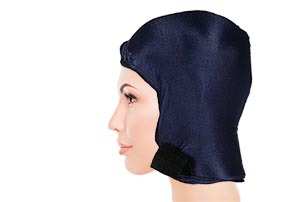 The Chemocap is clinically proven to prevent severe hair loss and the onset of chemotherapy-induced alopecia. 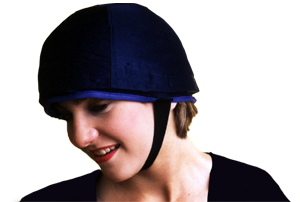 The Chemocap maintains the required low temperature for a period of 40 minutes (in a room temperature environment). The patient is required to wear the Chemocap 20 minutes before chemotherapy infusion begins to be replaced with a fresh Chemocap 20 minutes into the infusion. Every 40 minutes thereafter the used Chemocap is quickly replaced with a fresh Chemocap for the duration of the chemotherapy infusion. The last Chemocap worn by the patient must remain in place (on the patient’s head) for an additional 20 to 30 minutes after chemotherapy infusion has ended. 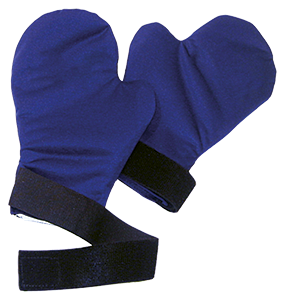 Patients require several Chemocaps for each chemotherapy treatment session. The number of Chemocaps required by a patient depends on the duration of each chemotherapy infusion prescribed by their physician. A general guideline is available to assist patients and oncologists in determining the number of Chemocaps needed. 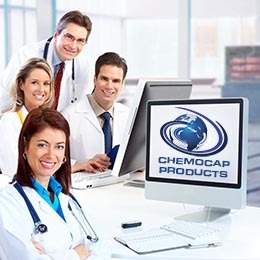 For more information on the use of Chemocap click on the PDF icon next to the Chemocap image. Success rate in preventing chemotherapy-induced hair loss is both drug and dosage dependent where success rates decrease as drug and dosage increase. 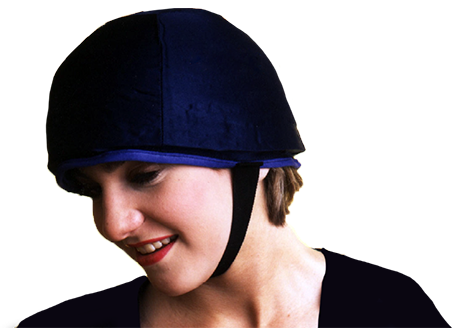 The Chemocap is not to be used when cancer is located in the neck area or in the head area or in cases of small-cell cancers such as leukemia. Chemocap products are guaranteed to deliver excellent results for a period of 2 years from the date of purchase when used as directed. The use of 24k gold in cosmetics and beauty treatments is an ancient tradition exclusive to the households of emperors and royals. According to historians, the secret to Cleopatra’s famous beauty and enduring youth is due to the use of 24k gold in her daily spa routine. Pure gold is scientifically recognized as a powerful superconductor. 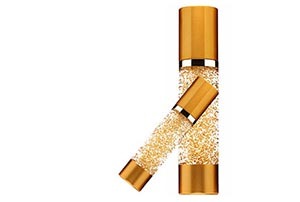 When combined with active ingredients and nutrients 24k gold is shown to enhance the absorption of vital minerals, amino acids and botanicals into the skin providing cells with enhanced oxygenation, essential nutrients and deep hydration. 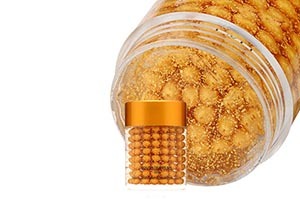 Pure 24k gold is a precious element clinically proven to stimulate collagen production, cell rejuvenation and skin elasticity with remarkable anti-aging results.